Team Rubicon Global gives military veterans around the world the opportunity to continue to serve. We know that veterans have a unique set of skills and experiences that makes them ideal candidates as first-on-the-ground responders. Team Rubicon unites those skills and experiences of veterans with first responders to rapidly deploy emergency response teams. Team Rubicon also provides veterans a renewed sense of purpose, community, and identity that is reminiscent of their military experience. The Team Rubicon network, which consists of Team Rubicon Australia, Team Rubicon Canada, Team Rubicon Norway, Team Rubicon UK, and Team Rubicon USA, has deployed on over 215 disaster responses. We currently have over 60,000 veteran, first responder, and civilian members world-wide. Our current operations in response to the recent hurricane activity across the globe include Texas, Florida, the Caribbean, and Puerto Rico. To find out more or make a donation of support, visit TeamRubiconGlobal.org. Hurricanes Harvey, Irma, and Maria have packed a 1, 2, 3 punch unlike any we’ve seen before. 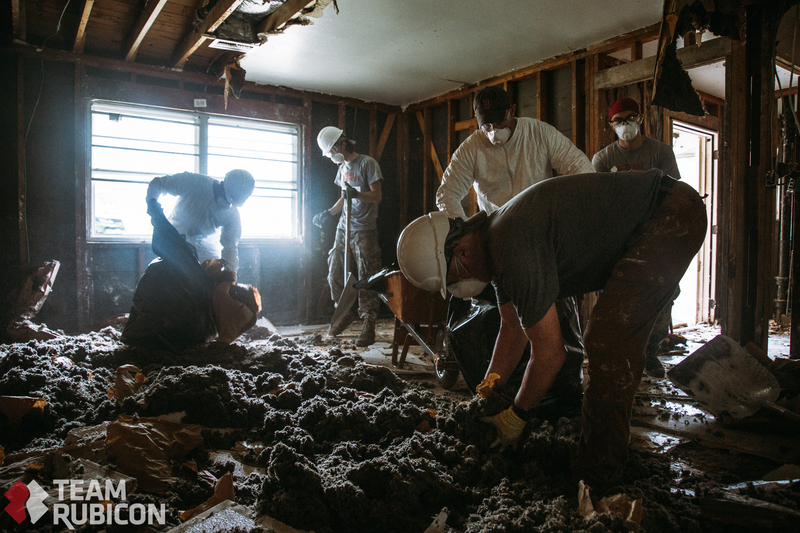 While the size of response needed was a first for Team Rubicon, that didn’t stop the network from answering the call. Since Hurricane Harvey made landfall, Team Rubicon USA has been responding in multiple capacities in Texas. From August 28 – September 4, six floodwater rescue teams were deployed, which was a first for the organization. Among those deployed immediately were Team Rubicon Global’s Director of Implementation & Support, Bob Obernier, and Deputy Director of Response, Jim Flory. Bob utilized his skills as a Water Rescue Task Force Leader, while Jim deployed as part of the Mission Planning Team. “It was an honor to work with Team Rubicon USA and coordinating with local authorities to provide search and rescue capabilities, along with transitioning to providing damage assessments and debris removal”, said Bob. Since the response started, 1,270 volunteers have deployed to Texas in support of ongoing hurricane relief efforts, conducting debris removal, damage assessments, muck outs, expedient home repair, and chainsaw operations. Among those volunteers are members from Team Rubicon Australia, Team Rubicon Canada, and Team Rubicon Norway, who were quick to jump in and say “How can we help”. 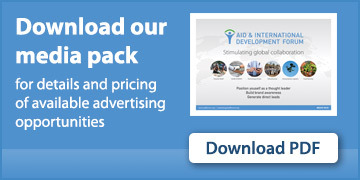 We were able to get them there through our partnerships with organizations like Airlink. Response efforts continue in Texas and volunteers have already serviced 555 homes, providing relief to multiple communities across the state. While the response is ongoing for Hurricane Harvey, Hurricane Irma struck the Caribbean and Florida, providing more devastation around the globe. Team Rubicon UK immediately had teams in the British Virgin Islands, Turks & Caicos, Antigua, and Barbados to start assessing the damage and providing immediate search and rescue response alongside Serve On, along with water purification systems. “Our experienced teams are bringing relief and government agencies together with the affected population to ensure there is no duplication of effort and every dollar or item of material aid goes to where it’s needed most”, said Paul Taylor, a Team Rubicon UK volunteer and former soldier, in Barbados. Volunteers have continued working alongside Serve On to clear and repair multiple damaged schools in the Virgin Gorda and Tortola so that children can get back into class and resume their studies. There are also 50 people working round the clock back in Chilmark, UK to support the team on the ground. Team Rubicon USA didn’t let the work in Texas prevent support getting to Florida as well. Teams were deployed to Brevard, Clay, and Collier Counties providing damage assessments, debris management, chainsaw operations, and expedient home repair. While all of the responses were in motion, Hurricane Maria threatened the already battered Caribbean and to disrupt ongoing relief efforts. Team Rubicon UK used their skills to help the local communities prepare for this hurricane and made sure to keep themselves safe as well. Once the storm passed, work began again, and an additional 38 volunteers flew from the UK to Barbados to continue providing aid to the communities that need it most and making this the largest Team Rubicon UK response to date. Team Rubicon USA has also deployed a team of 14 to Dominica where they are providing emergency medical assistance. We at Team Rubicon Global believe that it is the strength of the Team Rubicon Network, and the commitment of it’s members to continue to serve, that allowed us to stretch our capacity further than it has ever gone before. We are providing daily support to all Team Rubicon countries and making sure that we are keeping everyone informed of the multiple responses going on. Bringing together veterans, first responders, and civilians from around the world to provide disaster response is one of the key components, along with the support from our sponsors and donors, that allows Team Rubicon to push past our limits to develop and grow, so that communities are getting the assistance they need.